Write your testimonial for Denny's Driveshafts, and we'll share it with other website visitors. Driveshaft arrived well packaged. It looks perfect, including the paint. Installed without issue. Waiting to finish the project to try out, but, I am confident the driveshaft will not require much attention. Thank you for a superb product and it was worth the wait. Thank you Denneys you have made a lifelong customer out of me. I need a pinion seal for a Dana 80 dually axle for my '05 F-350. Only place I could find it locally (Louisville, KY), biggest town in the state no less, was the way over priced local Ford dealer. Did an internet search for the seal...a few places came up, but Denny's was the most reasonably priced..and promised quick delivery. Well, I am very happy to report that what you advertise is exactly what you do! Received my seals in 2 business days! More quickly than anything I was locally promised! AND at a FRACTION of the price of the other guys! Thanks DENNYS! One very satisfied customer here! of business days. Great customer service! Thanks. We ordered a left front axle for a Dodge truck. When we tried to put it on the truck we realized it was the incorrect axle. My husband worked very closely with Denny and they were able to identify what parts were needed. 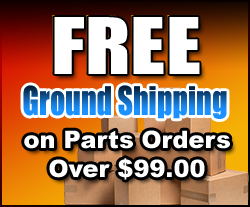 We were able to return the part at no cost to us and received the new parts within 2 days. I am very impressed with this company and will continue to order from them. I highly recommend this company to anyone. Denny and his team are extremely nice and very helpful. Thank you for working together with us. It is greatly appreciated and we were able to get my son's truck back on the road. I purchased a driveshaft from Denny's, and WOW! I was hoping the driveshaft would show up before my trip to IA, but it unfortunately didn't. So I drove to IA with a bent, loose, and WAY out of balance shaft! As soon as I got home, I immediately installed the new driveshaft! The first drive was better than new! I didn't realize how bad the shaft was! The ride after the install was very smooth! I was having a big problem with a vibration that I just couldn't solve! All of my driveability issues were solved with the new shaft! I was a little cautious during the ordering process, just due to the price of it! I was very afraid of it being either too long or too short, and have to live with the vibrations even longer! Would I do it again....YES! Was the price worth it....ABSOLUTELY! The new shaft is literally night and day difference! Cost, quality, and durability is what I was looking for! I'm sure I could've gotten a cheaper shaft, but I don't think it could've beaten Denny's! I'll be ordering another driveshaft for another project vehicle, Guaranteed! Considering the cost of it, you DO get what you pay for! Thanks Denny's! Received my drive shaft today took a little longer than was expected but was totally worth the wait. Not only does it look great it fit even better quality product for sure!! What a pleasure to have a supplier who is knowledgeable and helpful! Daniel did a fantastic job of guiding me to the correct parts and making recommendations for proper use. Parts arrived very quickly. When I called with a followup question, Denny himself helped me with the issue. Can't say enough good things about these folks. I called Denny earlier today with a technical question about a driveshaft I had done locally. My question pertained to 2 different dimensions about the transmission yoke engagement and amount that remained outside the transmission to the center of the transmission yoke u-joint. I did an engine swap that moved the engine forward requiring the driveshaft to be longer and a new longer yoke was put on my existing shaft and rebalanced. He reassured me that my dimensions were good. He could easily have sold me a new shaft which I was prepared for. Quite the testament to an honest businessman. A great big THANK YOU!! to Denny I would recommend Denny's Driveshaft to anyone. I can't say enough about this company. The customer service was great and I received the driveshaft on time. The driveshaft fit perfectly the first time and the quality of the drive shaft is amazing. I would highly recommend this company to anyone looking for a performance driveshaft. I looked all over for a part for dodge and ordered it from here but had actually ordered the wrong part. They went out of their way to call me and double check that is what I needed. Lucky for me they were able to find the correct part and got it ordered for me. The customer service was fantastic and I recommend them to everyone. It's a pleasure to deal with top notch sales people as well as the owner of the company! When I called to place the order it was not a sales call but more of hot rodders helping hot rodders! Driveshaft came in two weeks earlier than expected and it fit perfect!!! Received my driveshaft yesterday. A work of beauty! what I needed. VERY pleased to do business with you. Had to repair a custom Dana 60 in an industrial application, Denny's Driveshaft had all the parts I needed at reasonable pricing and they arrived FAST!! Great communication letting me know parts were on the way and everything arrived on time. Great company to deal with, nice to know customer service is still "out there"!! Had a couple discussions about my drive shaft problems, and they had no suggestions for parts to sell me! I was punishing my drive line by trying to yank some tree stumps, and it broke. They discussed simply repairing my existing set up and driving away, promising to never try to jerk stumps again. Rare to find any business that doesn't try to sell you SOMETHING, just for taking up their time. I highly recommend Denny's Driveshaft for your driveline problems. Thanks for saving my retirement pension for more pleasurable pursuits. I've purchased specialized driveline parts from Denny on multiple occasions for custom work and restorations. From the first time that I searched the website, the attention to detail, organization, and clear informative data on all parts, options, specs, etc truly impresses me. As a Marine, these are the life blood of what I do, same goes for truck projects. Anyone who has rebuilt a 30 year old axle or drive shaft knows the random variables involved...what's not quite metric and not quite standard...Denny has the answer for you. He has spoken with me on the phone multiple times, taken time out of his day to chew the fat on the finer aspects of U joints, ball joints, specs, Spicer parts that literally cannot be found anywhere else (he won't even give me his part's source, but that's fine I'd still keep my business here simply due to the quality of customer service). The young lady who handles the office work is also just as informative and extremely helpful. Every part I purchase arrives in a timely manner, securely packed, items that require instructions are clearly laid out, much of this info is freely posted by Denny on the website which is what keeps me coming back. The intricacies of these types of parts and how they fit, what years or options they fit, what works on what type of setup...you can't find anywhere else and that truly is a blessing. I've referred many off road buddies to Denny and will continue to do so. Keep doing what y'all are doing, you guys have a solid business model and a superior product all around. Semper Fi! It was about 8 months after I received their driveline before I actually installed it, but I remember how specific they were about all my measurements be fore ordering it, and when I finally removed my driveline it looked to be a little loner than mine and I got worried it wasn't going to fit, but I went ahead and install the yoke and then the driveline and it fit perfectly and car runs really smooth, it's a 71 Camaro 383 sbc with a turbo 400 trans, my car runs 12.50 at Firebird in Boise ID. I am very impressed and would highly recommend them in the future. For no reason other than meeting them at a swap meet I tried another major driveshaft company for a custom driveshaft for my 66 Mustang Pro Street. They would not return my calls, only returned email once but never responded after I sent follow-ups. Tried my best to spend money there. Left me feeling no one wanted my business or my order wasn't important. Then I saw on one of the Mustang Forums people giving rave reviews for Denny's Driveshaft. Sent an email and got an instant response and phone calls. I felt they really wanted to help and gave me excellent advice. I ordered and the driveshaft arrived when they said it would and packaged safely. The quality of craftsmanship is second to none. The service and communication one of the best I have ever encountered. Will ALWAYS go to this company in the future for any driveshaft needs and have told all my other gear head friends. So glad now the other company did not respond!! What a beautiful piece of work! The drive shaft fit perfectly and your patience and instruction was impeccable. Also your packaging was the best. I ran the shipping and receiving department locally for a carbide cutting tool company and I know how important it is to package properly. Thanks for an excellent product! I ordered the rebuild u-joint kit for the front double cardan drive shaft of my 2005 Jeep Wrangler SE TJ 2.4 liter. I chose two day air and it arrived the next day!! Also, the parts were all perfect. I was originally going to buy u-joints locally but there was always something defective in them or the needle bearings felt gritty. The parts from Denny's were absolutely smooth as silk and installed well. My Jeep is running great after rebuilding the driveshaft and is smoother than before and I will definitely be buying from Denny's again. Thank you! I had a custom 3-12" Alum shaft made for my LS powered 55 Chevy. The workmanship is of high quality. The shaft went right in and was a perfect fit. Just the right clearance and transmission yoke engagement. I couldn't be more pleased and highly recommend Denny's. Thank you for the driveshaft that you made for my Monza. It fit perfectly which made installation a breeze. Got my driveshaft delivered to me quickly and Jeep back on the road. I am very pleased with both value and customer service from Denny's and highly recommend them. doing a great job at a great price and for doing it so fast! Denny spoke with me on the phone and discussed everything with me, including every option available for a new yoke. He was kind enough to give me some education I didn't have. I learned a lot from a simple phone call and I also learned where to visit for the best sites of Niagara Falls. At any rate, Denny told me it would be about 4 weeks before I received my order. However, it was exactly 3 weeks to the day and it was delivered. Once I received my driveshaft, which is a 3.5" aluminum shaft for my 68 Camaro and T56 transmission, I opened the box and it was a thing of beauty. It is the first driveshaft that I have ever ordered and I was quite nervous about the measurements. However, when I talked to Denny, he talked me through them so I was even more comfortable when making them. At any rate, when I went to put the driveshaft on, it fit like a glove. It only took me a few minutes to get it installed. Coming with complete installation hardware was a plus as my old ones were not usable any longer. Thanks Denny for the expert service and timely delivery. I look forward to doing business with you on my next project. I live in Texas and have a project that I've been working on for a couple of years. I heard about Denny's through performancetrucks.net. I downloaded Dennys calculation sheet and ordered a driveshaft for my hot rod. Well a couple weeks later a beautiful driveshaft shows up on my door! The only issue is it was too short. I messed up big time, I sent a bad measurement to Denny! I called Denny in a panic, Denny was very patient and we spent some time correcting my mistake. I sent the drive shaft back and to my surprise received a tracking number 2 days after Denny received it. What great customer service! I wouldn't hesitate to send any one to these guys! I have a 1970 dodge super b and i purchased a dennys nitrous ready driveshaft way back in 2003. it has been behind a 12.00 motor a 10.50 motor and a nitrous motor at 9.50. the car weighs 3750 and that driveshaft has over 500 passes on it without even changing a u-joint. it is now being used a daily driver. Awesome driveshaft and recomend to everyone. I received my parts and they look really good. I haven't test fit everything yet, but I am confident they are just what I want. Thanks for your assistance and your enthusiasm for my project and your job! I'll always come to Denny's for driveshaft parts. Thanks again! I have been experiencing a high speed driveline vibration problem on my 87 Monte Carlo SS ever since I bought it about 5 years ago. Spent several hundred dollars at a local machine shop to have the stock driveshaft balanced, twice!! Even had a new trans yoke installed and the local machine shop even cut off the yokes and squared up the ends of the driveshaft. The result was still the same. The vibration problem was unchanged. Finally decided to order a 1330 Series 3.5 inch Heavy Duty Steel driveshaft from Denny's. It was special order and I got it 4 weeks after I placed the order. It was packaged very well. High quality workmanship. Email questions sent to the tech department were answered promptly. After installing the new driveshaft, my vibration problem is gone. Very satisfied with Denny's. I simply cannot heap enough praise on the entire staff at Denny's. From initial call to delivery of my new driveshaft, the service was utterly incredible. Special thanks to Daniel for working with me through the entire process. His outstanding technical knowledge and customer service made this far easier than I could have imagined. ...and of course the driveshaft I received was of the HIGHEST quality. I would recommend these guys to anyone and everyone! Many thanks to Denny for running a top-notch business! I SCREWED UP AND BOUGHT A USED YOKE ON E-BAY FOR A $100.00 BUCKS BECAUSE EVERYONE ON LINE SAID THEY WERE VERY HARD TO FIND. BS... YOU HAVE NEW ONES FOR $41.00. YOUR A GREAT CO AND VERY REASONABLE AND GRATE PRODUCTS! I appreciate you offering a kit when I diagnosed the issue on my Jeep being the front driveshaft. Not sure how I found your site but the information contained helped me further diagnose and determine the parts I needed. Expedited shipping options were also beneficial in resolving my problem as soon as possible. (March 2016) The fit and finish was incredible on my 1957 Bel Air with 350 SBC and 700R4 trans swap. Beautiful welds, balanced and nicely painted. Used the Denny's measuring sheet and got the perfect fit. Really easy, good price and quality. Will be ordering again soon for a recently obtained project. I would highly recommend Denny's to all my car buddies. I received the yoke and is as stated, I installed the yoke and it is exactly what I needed. Denny's Driveshafts is a great company to deal with. Just installed the drive shaft in my 69 road runner . Fits like a glove ! I couldn't be happier with the service . Thank you very much . How ya guys doing. I ordered some driveshaft parts from the guys here at Denny's Driveshafts. I just wanted to compliment how fast the shipping was! Got to my house in 2 days. And they always sell quality parts. Don't hesitate to trust them with your order! Great company! I have received and installed my drive shafts and would like to take a minute to thank everyone at Denny's for the knowledge and patience in making sure I had what I needed and not just what I ordered. I am very happy with how the components fit as well as the quality. Your entire staff was always helpful and willing to explain to make sure I had what I needed and understood why I needed it. Thank you for everything. I ordered a double cardan style driveshaft from Denny's for my CJ7. The team at Denny's worked with me along the way to make sure I had everything I needed for a seamless and trouble free installation. The driveshaft went in without a hitch and the difference was night and day compared to my old driveshaft. I didn't think I had a bad vibration problem before but was shocked at how smooth the new driveshaft operated both while cruising and under acceleration. The quality and value of the product is outstanding and the customer service was second to none. I would highly recommend Denny's to anyone needing to replace or upgrade their driveline. I received the driveshaft just in time and it is impressive! The quality is amazing. I will order another one for my 78 Trans am LS3 project from you for sure. My driveshaft arrived yesterday and I wanted to let you know how impressed I am with everything. The driveshaft is a perfect fit in every way and is beautifully made and finished. It was packed extremely well and arrived half way around the world (Australia) in top condition. Your customer service and quick response to emails has also been excellent. It's easy to see why your business has earned the great reputation it has. Thanks for an excellent driveshaft! just wanna drop some good feedback and let you know yal have a new customer. just got my axle shaft that i ordered thursday nite and i didnt expect to see it til after christmas. you guys got it here wickedly fast. thank you so much, i cant wait to get my truck back in the woods. should something else break when i do, i know im hittin up dennys for my parts!!!!!!!!!!!! I'm lucky owner of a 1967 Chevy Camaro SS RS Big block with a 427 engine. Car is a 1:1 Copo Camaro clone. Since I own this California car now (4 years) I had to struggle with annoying vibrations in my drivetrain. This also wrecked my Muncie M-21 gearbox, 1 year ago and I had to replace it. I spent any effort to locate reason for this vibrations, during this I had the driveshaft balanced. Since I could not locate it and driveshaft was balanced I had no clue, where it will come from. So, after lots of nights with thinking about it and some talks to my engine builder, we came to the result, to replace the driveshaft no matter what. Then I start doing some research to find a good manufacturer for this new driveshaft. With my car I learned that even the best parts are good enough and will be hassle free. Thanks to the lots of testimonials from happy customers all over the world I decided for Denny's! This was the best decision, by the way. I started reporting about my issue and sending some pics of my driveshaft. They could see on pics itself that this will match to my problem I told them about. This gave me some confidence that I might be on the right track. I couldn't wait it until to have the new driveshaft at home. Even if he told an approximately delivery time of 4 weeks, the driveshaft arrived earlier. Shipping within 2 days from USA to Germany with UPS! Unfortunately the driveshaft was 1.5 inches to short, my mistake. I get in touch with Denny and he was really willing to help me out and we had some nice email traffic. After I send him the right length of the driveshaft, measured multiple times to make sure not to make another fault, he really took any effort to build me a new driveshaft and had it shipped out within one week. After I unpacked the new one (second) I first measured it and saw he build it exactly as I send him the new measurement. I was pretty sure, this time I did everything right and it will fit. Next day I bolted the driveshaft in my car and fits perfect. Not to be to early with my enthusiasm I made a test drive. WOW! I cannot say how much happy I am now. All the vibrations and noises from the body this vibrations caused in my car are gone!! Its hard to believe its same car. Now it drives smooth and like a new car. No need to be afraid anything could break now when I push the pedal. THANKS a lot for everything, Denny!!! Denny's built the driveshafts for my 68 Mustang ProStreet car and my 11 second 67 Chevelle Wagon bracket racecar. So when it came to finding a unique driveshaft for my 2001 Jeep Cherokee 4x4 Mud BogStreet cruiser, it was a total no-brainer who to turn to when I needed a shaft to connect my NP231 transfer case to my custom built Ford 9" rear axle. It arrived in a few weeks ready to bolt in and the fit was excellent. No vibration on my lifted Jeep whatsoever. When people ask me who built the driveshaft I tell um, Denny's are the go to people to connect any diff to any transmission, no matter how much power you put to the ground. I only wished they still put the contingency size decals in the box for the side of your racecar like they used to when they built my Mustang shaft back in 1997. Yep, I'm a lifetime customer! I wanted to take a minute of your time to thank you for a Superb Product!! Everything was just as you said from build time, to price, and ship date. sincerely thank you for your 5 star services!! I received my drive shaft the other day. It fit perfectly of course and looked so nice I hung it over the fireplace for a few days to admire it before putting it in the car. Denny helped me with drive line angles and now the car is perfect!!! Thank you for a great driveshaft for my roadster. It fit perfect and looks good too. The service was excellent and it arrived sooner than expected. It is nice to do business with a company that does what it says it will do. You guys are awesome... Extremely fast shipping... Quality Spicer parts, you had exactly what I was looking for at great prices, especially the CV bolts I needed that I couldn't find anywhere else for some really odd reason (you would think those are needed often...) I would definitely order from you guys again thank you! What can I say? Not only did they have the correct part for my differential, the measuring was easy and when the product arrived, it fit perfectly, something hard to find in the world of hot rodding. Excellent advice and everything was spot on. Just wanted to give a shout out! I wish I would have got the mans name I spoke with on the phone. He deserves some praise. Once I explained my delima I was in and the urgency of getting the part overnight he went above and beyond to meet my needs. Im not used to customer service like this since everyone else "seems" not to care. Again thank you again for your superior service. Today is Thursday, I ordered yesterday and recieved the part this morning. You guys are the best and I will tell every one I know. Professionalism at its best. A very knowledgeable and courteous staff. My questions were answered and, unlike other places I've dealt with, I wasn't expected to know more than the guy I talked with on the phone. 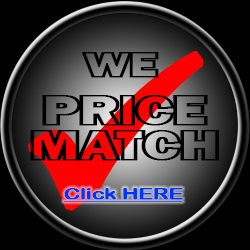 An easy to navigate website, great prices, packaged very well,and fast reasonable shipping. I will be doing all my business through you. Thank you.